The fourteenth century illustration from an illuminated manuscript seen below shows two children enjoying recognisable winter pastimes: skating and sledging. The only significant difference is that the sledge and skates are made from horse bone. Illustrations like this allowed Norfolk archaeologists to identify that this horse’s jaw was used as a child’s sledge. The underside of the bones have been worn smooth from being pulled over rough surfaces. A wooden platform was used for a seat. Bone ice skates were used in England from the eighth to the early twentieth century. Skaters stood on the bones and propelled themselves forward using an iron-tipped pole. 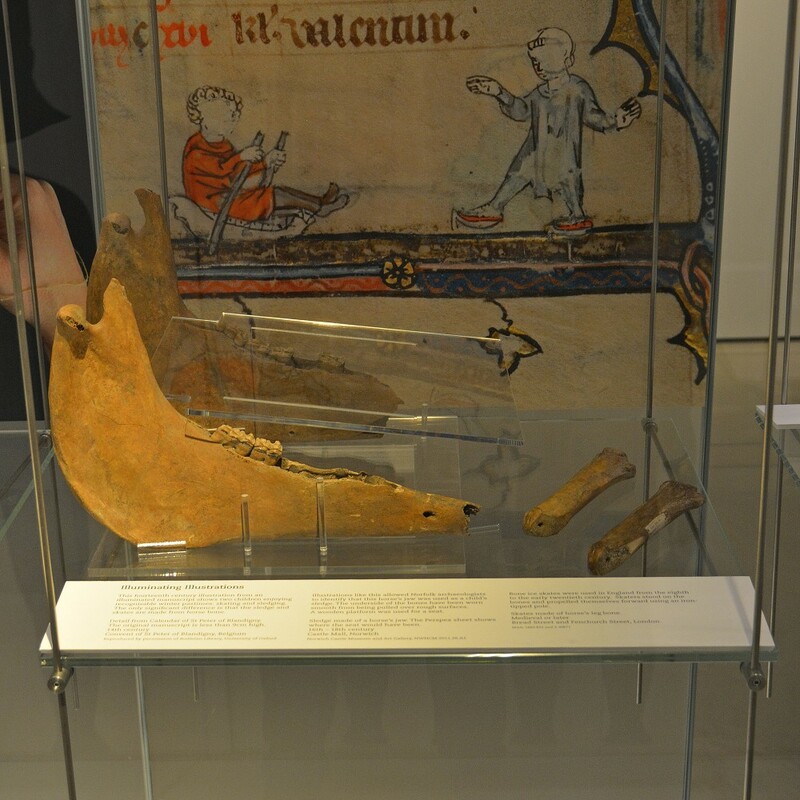 Skate made of a horse’s leg bone. Sledge made of a horse’s jaw. The Perspex sheet shows where the seat would have been.